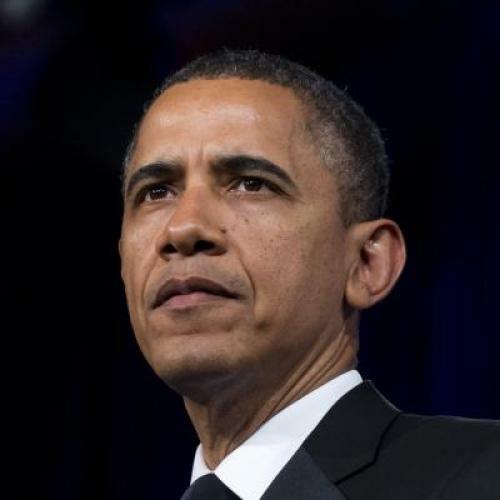 There are many reasons to be glad that President Obama has finally decided to stop dissimulating and openly advocate gay marriage. Not least among them is that he is no longer giving tacit approval to a prejudice in the African-American community that becomes more awkward and regrettable by the year. The central role of Christianity in black America has much to do with this. It explains why views like these are not uncommon even among black people whom you might least suspect. I recall the head of an organization dedicated to helping ex-welfare mothers and other poor people asking me to sit on her board. On the basis of indications I had received about her organization—and because I knew it was closely affiliated with a church—I stated that I would be glad to do so only on the condition that the group did not have an anti-gay policy. The woman openly told me that they indeed did; she went on to reference the teachings of the Bible, which she considered unarguably sacrosanct, in explaining why. This from someone with reserves of empathy deep enough to commit her life to helping others in need. The Bible is a highly fragile basis of reasoning here. As Pastor Susan Schneider in Wisconsin has recently noted, the Bible “has passages that prohibit men from cutting their hair, and that forbid anyone from wearing mixed fiber clothing, or planting two different kinds of seed in their fields, or eating shellfish. The Bible also commands slaves to obey their masters, parents to stone unruly children, and upholds as heroes of the faith men with multiple wives and concubines.” This is a slam-dunk textual argument: It’s clear that black religious communities—like so many others—harbor a simple revulsion at the notion of homosexuality. But by referencing the Bible’s views on slavery, Schneider’s exegesis also highlights the particularly tragic irony that saturates black homophobia. Throughout its history, black America has pleaded and fought with the rest of the country to convince them to overcome the primal tendencies of bigotry. This makes black homophobia especially problematic. That’s not pretty to state, but it’s true and it needs to be fixed. Unfortunately, President Obama’s reticence on marriage equality gave tacit backing to this backwardness. It was awkward enough that he was a member of a church with a racially impolitic pastor like Jeremiah Wright. Yet that was at least understandable: The anti-whitey routines were hardly all or even most of what Wright preached every Sunday, and Obama needed to attend a popular and culturally rooted black church to have bona fides in the black Chicago community. In other words, Obama’s choice of church was easily understood as a commitment to a community, not a statement of deeply-held belief. Of course, President Obama is above all a political leader of the entire nation, not just the black community. But with black America straggling behind in the history of gay liberation, Obama is now serving as a useful cultural model. If he can convince the African-American community that it can maintain our community’s religion while abandoning bigotries that religion can thrive without, we will truly be moving forward.